The M.E.L.T. Method is a revolutionary approach to longevity focused on our connective tissue and neurological systems. It can offer positive changes such as improvement in the lower back, greater neck range of motion and better mobility in the hip and shoulder girdle. Foot problems can also be alleviated, most notably plantar fasciitis, but even peripheral neuropathy. Arthritic hands often feel better after utilizing the M.E.L.T. Method. Specialized soft foam rollers are used in addition to MELT balls on the hands and feet. The balls are different sizes and densities, each with a specific job. 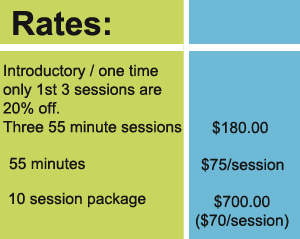 We offer private sessions and classes (see classes tab). The MELT Method (MELT) is a simple self-treatment technique that reduces chronic pain and helps you stay healthy, youthful and active for a lifetime. Ten minutes of MELT three times a week is all you need to reduce the effects of accumulated tension and stress caused by daily living. This revolutionary approach is backed by the latest science and acclaimed by tens of thousands of devoted MELTers around the world! New research has revealed the missing link to pain-free living: a balanced nervous system and healthy connective tissue. These two components work together to provide your body architectural support and optimal mind-body communication. 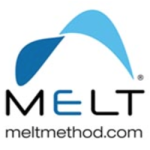 Manual therapist and connective tissue specialist Sue Hitzmann has transformed groundbreaking neurofascial science and hands-on therapies into a one of a kind treatment method called MELT. Using specialized techniques, a soft body roller and three small balls, MELT rehydrates the connective tissue, rebalances the nervous system and restores space to compressed joints. MELT is truly for everyone! For those in their 40′s, 50′s, 60′s and older who want to stay active, mobile and independent–MELT is a must. MELT is also for active younger adults and athletes who want to maintain a fit, healthy body and achieve optimal performance without debilitating wear and tear. If you are pregnant, injured, post-surgery, overweight, sedentary, out of shape or have limited mobility, chronic pain, knee/hip replacements or bone disorders you can still MELT. I CAME TO VERO AND FELL IN LOVE… WITH M.E.L.T. I am lucky enough to winter in Vero but was hesitant leaving my home base and my pilates studio. My pilates instructor researched Pilates studios in and near Vero and suggested I go to S.T.A.R. Pilates. She stated that the credentials of the instructors were the best in the area! A little background on me and my quest to live a pain free life. I have lived most of my adult life in pain whether it be my neck, shoulder, hip, foot, hand (all on my right side). Years of doctor visits, physical therapy, and shots gave me short relief. But I gave up walking, golf, and finally gardening. I started pilates in September 2016 and immediately felt better. Thus, why I was hesitant to leave my home base. So, in November, I apprehensively walked into S.T.A.R. Pilates. I was greeted with smiles and hellos and a complete assessment of my body and lots of dialogue about how my body felt. Honesty, I have to say I was disappointed when it was suggested that I try M.E.L.T. instead of pilates. Immediately I said to myself not what I came for! BUT boy am I glad my instructor, Christine Purdy suggested I give M.E.L.T. a try. After my first session I felt immediate relief and it lasted for days! I signed up for only 2 sessions per week and I by the end of the first month I was pain free! Honest! Now I walk – on the beach – 5 miles a day – NO PAIN. I went back to golfing – NO PAIN. I can actually type this with NO PAIN. It’s nothing short of a miracle. I have never felt better and I owe it all to M.E.L.T. and to S.T.A.R. Pilates. My instructor has taught me more about my body than any doctor ever has. The other day I told Gini that if I could stay in Florida all year, it would be because of S.T.A.R. Pilates. It sounds extreme, but I meant it. After years of back and knee problems, I was unable to do any exercises without pain and fear of injury. Thanks to the skilled and patient guidance I’ve received from Gini and Christine, my strength is returning, and I’m able to reach muscles I haven’t been able to work for years.